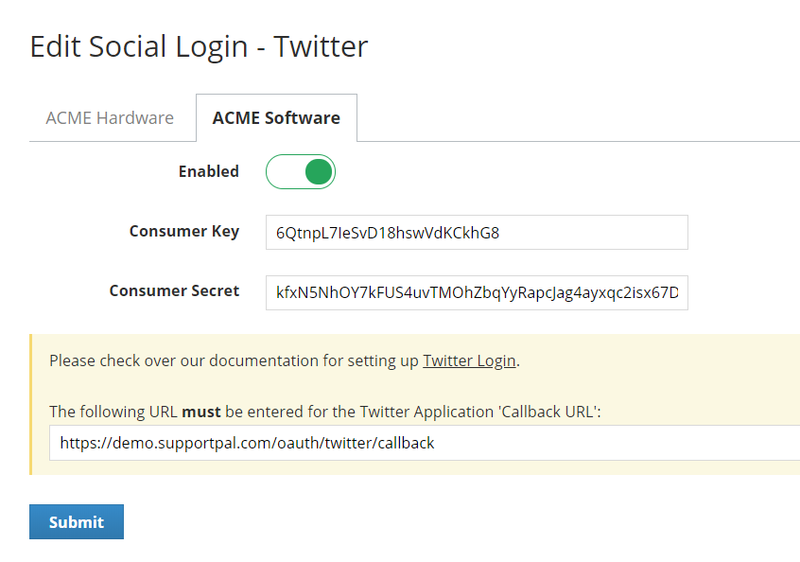 Allow users to log in and sign up with their Twitter account, an option available under our Social Login integrations. To use Twitter Login, you must have a Twitter account with a mobile number set on it. The Twitter provider is disabled by default and needs to be activated before use. To do this, go to Settings -> Users -> Social Login and click the "Activate" link on the Twitter provider box. A provider can be defined for each brand, the "Enabled" option should be toggled to on for it to be available to users on the frontend. The provider can be deactivated by toggling the "Enabled" option to off for all brands. If you don't already have a Twitter developer account, you will need to apply before you're allowed to create an application. Please follow our Twitter Developer Application guide to complete this process. To set up Twitter login, you will need to set up a Twitter application, follow the steps below. Visit the Twitter Developers website - https://dev.twitter.com/ - and sign in to your Twitter account. 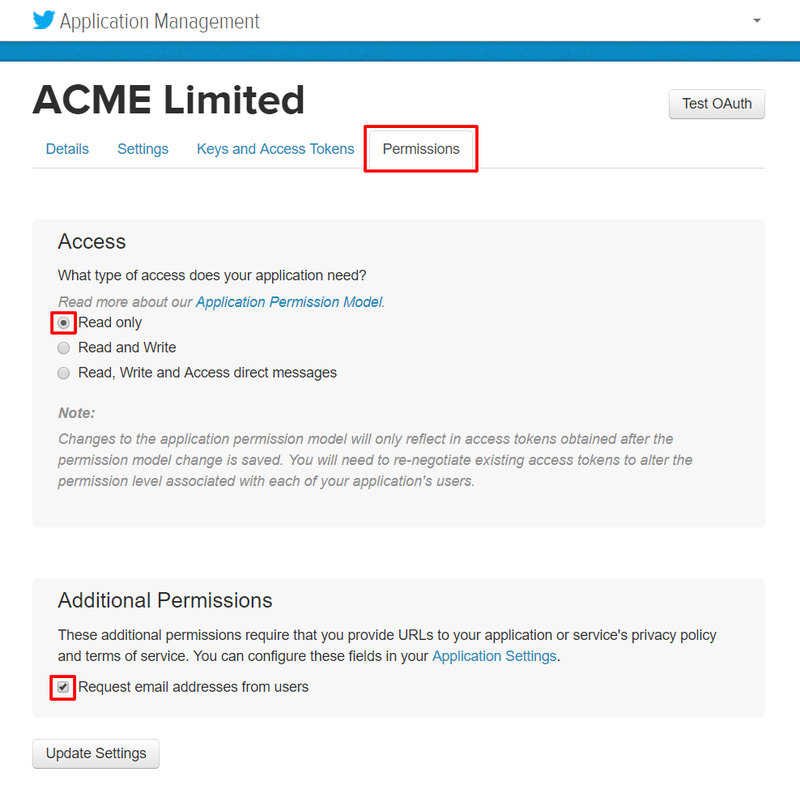 Go to the application management site - https://apps.twitter.com/ - and click "Create New App". Enter a name, description and website, these are not important. 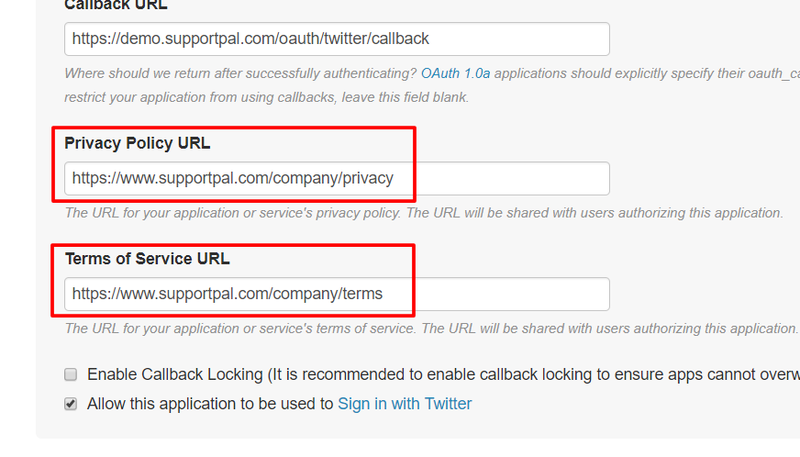 The callback URL must be set to the value shown in the SupportPal interface, for us it is "https://demo.supportpal.com/oauth/twitter/callback". 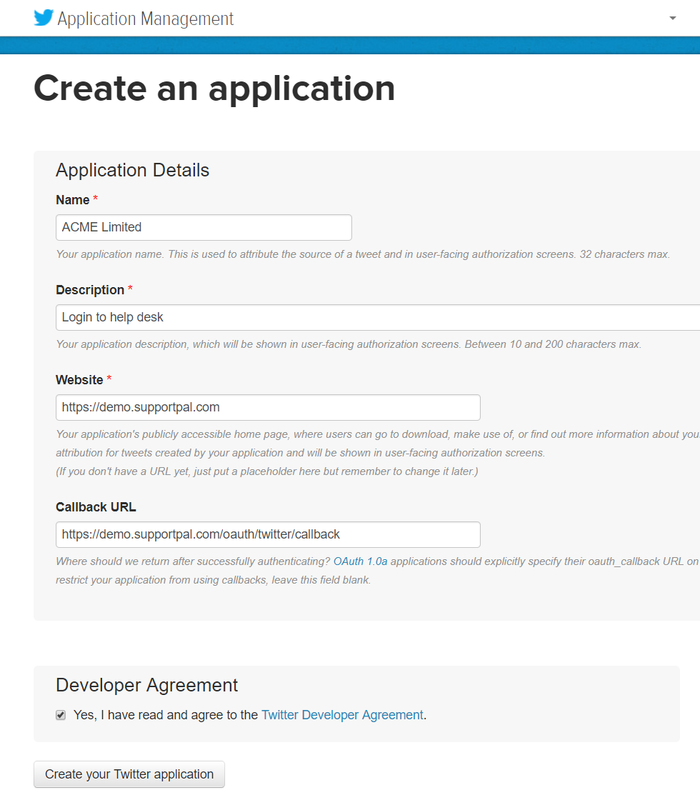 Tick the developer agreement and click "Create your Twitter application". We now need the consumer key and secret to complete the set up. 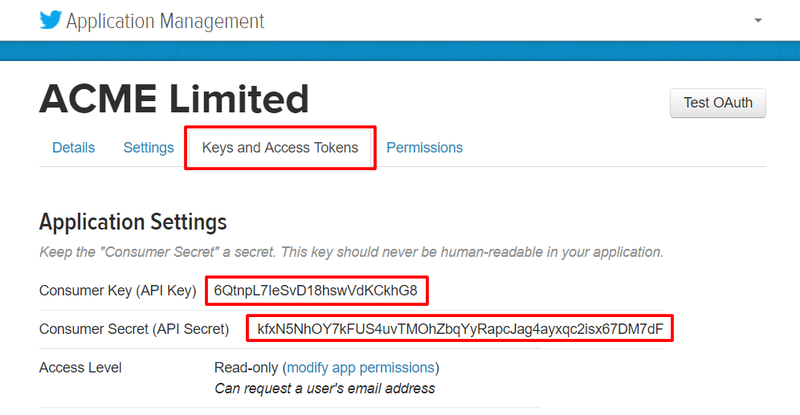 Click the "Keys and Access Tokens" tab,copy the values over to the SupportPal configuration screen, and click "Submit" to save. It should now be successfully configured, we recommend to try the login as a test user to verify it works. Your Twitter account must have a mobile phone set on it to be able to create applications. Please set up a mobile phone and then try to create the application again.